Using cutting-edge technology and innovative design, AAA Products International delivers one of the best flexible lines of maneuvering control air valves in the trade. It also offers a wide range of sizes and types for a more convenient transaction. Products are built to last through millions of hassle-free cycles. In order to be one of the best in the market for valves, AAA – also known as Triple A –utilizes numerically controlled machines for the goal of getting precise results with close tolerances. Engineers have made it designed for the intention of using it on compressed air starting from vacuum to 250 PSI. The measurements for its side and bottom portent valves starts from 1/4″ to 2″ NPTF. In addition, there are accessible stack valves at the sizes of 1/4″ and 3/8″ NPTF. Triple A doesn’t stop its range from there. On top of it, AAA Products International has more than five hundred special valves with a number of variation for customer satisfaction. This includes high pressure, stainless steel, brass, Tufram® coated, distinctive actuators, spool type variants, and many more. Triple A is at the top of its game when it comes to offering superior performance even during the most stressful of situations. IMS & DBH are more than excited to help you in your toughest job with our high-end, premium, AAA Valves. AAA Products also gives you a specialized product for air, this is called soft seal models. This can provide low vacuum service up to 28″ Hg. You may get them in several sizes as the options are from 1/4″ to 2”. They cover the complete size range. Also, O-rings entails a secure sealing between all ports. Uniquely designed to outdo competition, its 4-way spools offer the best of control. This is anticipated for reversible cylinders and other devices that are similar. 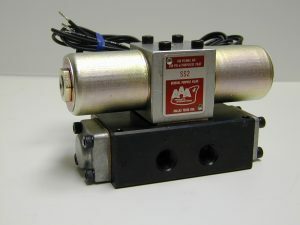 The soft seal models can be operated as a 3-way valves. This can quickly be made possible with the help of a vacant cylinder port. Moreover, this can be turned into a 5-way valve by the utilization of dual exhaust ports. Ideally, this should be used as inlets. Also, the inlet port in particular, should be a single exhaust. Inspired with nothing but handiness in mind, these AAA valves have been created for topmost versatility. The valves can be mounted in any positional at all. However, it does cover safety concerns. The valves that do not contain any springs or detents have a specific way of holding. In order for it to be in place, it should be mounted horizontally with the spool. This is only applicable when there’s no pressure that’s continuously applied in order to keep the spool in place. It’s been established that valves have the capacity to take on surge pressures up to 1000 psi. Naturally, it doesn’t hold any long-lasting damage to either of the bodies or seals. But since safety is a priority, it shouldn’t exceed 250 psi pressure. Additionally, Solenoid valves has only been designed to a limit of 150 psi, except for the scenario when it’s been altered to external piloting. As for the button bleeder models, it doesn’t work on vacuum that doesn’t meet the required line of pressure. The ideal pressure for it is lesser than 25 psi, but when talking about spring models it’s less than 50 psi. Why are AAA Valves the Best? To give a winning edge, the valves all out in the market have been guaranteed to be pre-lubricated at the factory. It only uses Magnalube-G teflon based all-purpose grease for the entire process. Due to this, you will get the best of performance. Please call us! We would be happy to hear from you and we love to answer any questions you might have about our current products or services; industrial machine servicing; line boring equipment; Pneumatic Valves; Welding Products & Supplies;Steel and Stainless Hydraulic Fittings; Electric Motors and Controls; Paint Booths and Systems; Air Logic Controls; Hose Reels; Hydraulic Pumps; Pneumatic Compressors; Specialty Welding; CNC Parts, and many more services than we can list.